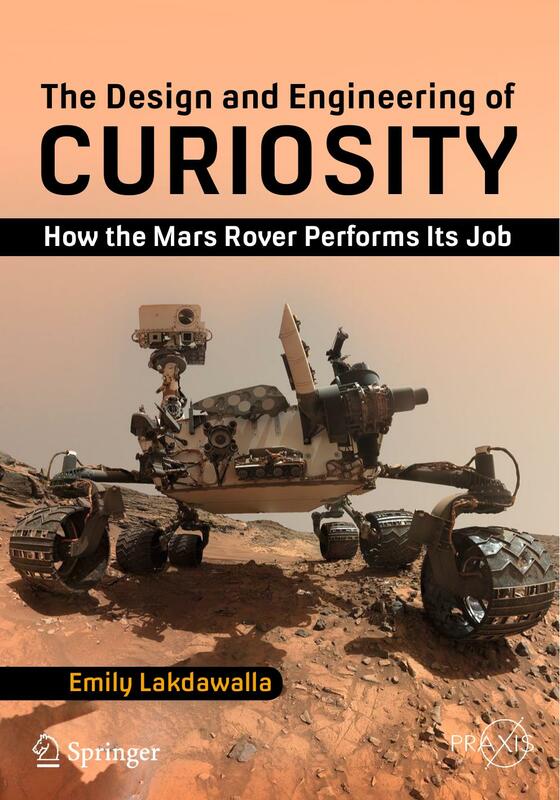 I just finished reading Emily Lakdawalla‘s “The Design and Engineering of Curiosity: How the Mars Rover Performs Its Job“. It’s a remarkable book, even though it’s not quite the book that I expected. The first few chapters describes the general design and mission of the rover – how it came to be defined and the hiccups along the way. This is really fascinating, at least, if like me, you’re not familiar with how big science missions are planned. The way that issues with one piece of the rover is cascading down the planning line putting the whole project at risk is really interesting. We get to meet the scientists behind the mission planning and the struggle to meet deadlines and budgets1 to eventually send the rover to Mars. This is starts out as a great story about a fantastic instrument… but then… the book turns into an instruction manual. 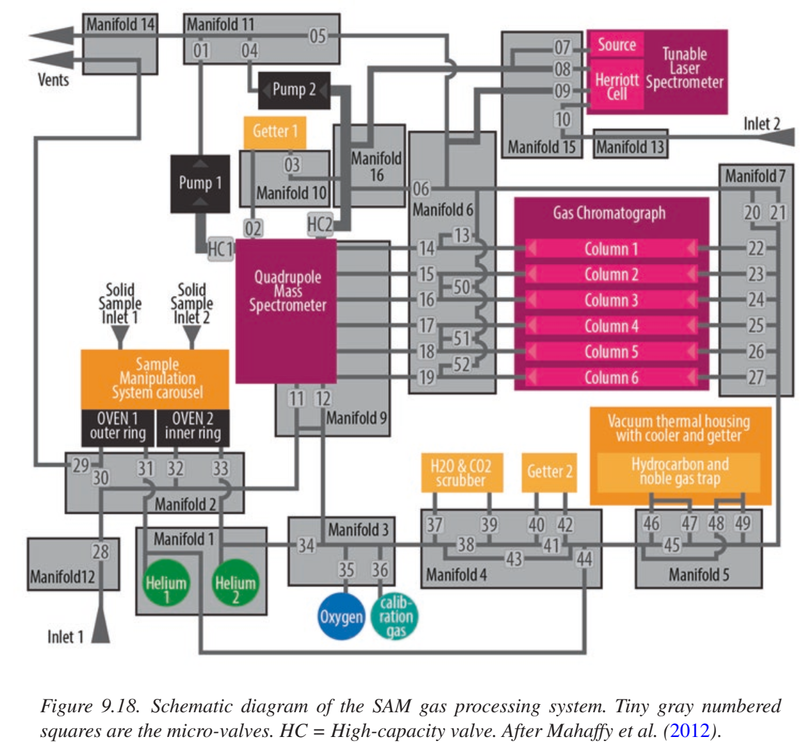 If you want to know the tubing layout of the gas chromatograph or all the times the dust removal tool was used to brush a surface sample, then this part is for you. While there are many interesting details hidden also in this part of the book, I feel that it looses its momentum and becomes more of… well, actually what it says on the cover – but in a quite literal sense. The chapters on each part of the rover’s science package are shock full of information, but the book pays a price in readability. I still do recommend the book, both for the readers who have a more general interest in Curiosity who will find the first chapters more interesting, and for the ones who delight in every detail, in which case Lakdawalla is an excellent guide through the intricacies of this amazing science tool. Not quite the layout that you want. As a post scriptum: If you decide to get the e-book, definitely go for the pdf version. 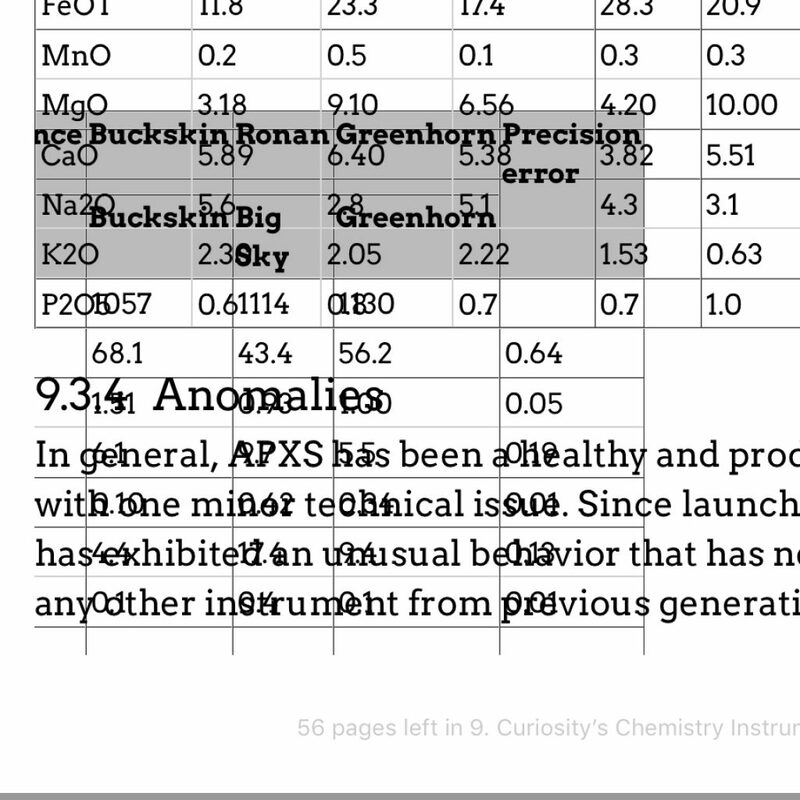 The many large tables really don’t go well with the epub-format. ← How much does a paper cost?